White, surpassed by teal and shaded blue competing with charcoal versus pink are the colors jointed for Justin Shattuck. Practice makes perfect. 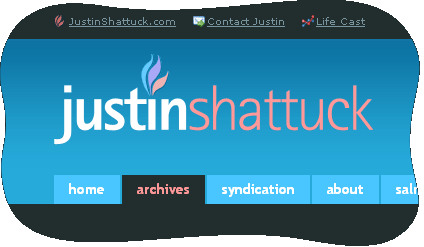 And the new design for Justin Shattuck’s personal blog site therefore forwards the idea of intuitive content based on meaningful colors.